If it's worth going… it's worth going in style. Your business clients are your most important resource. Show them how much you appreciate them with point-to-point travel in a Brentwood limousine or sedan. Airport pick-ups, hotel to dinner, or just a night on the town–whatever executive need that arises, Brentwood Limousines can provide it. Take your group on the road . . . safely! At Brentwood Limousines, we offer chauffeured transportation to all sporting events – Titans, Predators, Commodores, even the Volunteers! You will arrive and leave in style–and worry about nothing but who wins the game! From the grandmother to the groom to the bride herself — at Brentwood Limousines we know how first class transportation adds to your special day. Our highly-trained chauffeurs are prompt and responsive to all of your needs. And our impeccable fleet reflects how much you truly care. When a limousine can’t be used, the Mercedes Sprinter Van is the answer. With spacious individual seating for 14, there is plenty of room for golf clubs, skis, guitars, and the luggage. Whatever your destination, we can meet your needs. Contact us today for more information regarding rates and reservations. 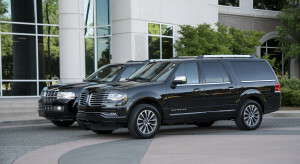 Brentwood Limousines has a Certificate of Public Convenience and Necessity to conduct and operate a passenger vehicle for hire business in Metropolitan Nashville-Davidson County from the Metropolitan Nashville-Davidson County Transportation Licensing Commission. Permitted with the Metropolitan Nashville Airport Authority. Established in 1985, Brentwood Limousines offers discreet and luxurious transportation services in the Brentwood/Nashville area. Click Here to read more. Contact us today for more information regarding rates, and reservations.